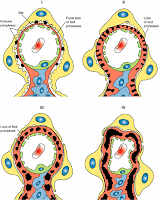 The past several decades have seen dramatic advances in understanding the etiopathogenesis of glomerulonephritis. The science of renal disease has progressed steadily from a discipline focused largely on whole organ physiology, through successive eras of cell and molecular biology, several omics (proteomics, genomics) and now into molecular mapping and personalized medicine. During that time, the processes which initiate and mediate glomerular inflammation have emerged with increasing clarity and complexity from early perceptions that they reflected largely immune complex driven processes involving exogenous antigens, antibodies and complement to today's recognition that most are autoimmune in nature. The role of both the innate and adaptive immune systems, the nature of the cellular responses to injury and their signalling pathways and the molecular events that produce the diseases seen by pathologists and clinicians have all become much more clearly defined. This book is produced not as a comprehensive review of current understanding of the pathogenesis of glomerulonephritis but rather as a series of well selected individual update chapters that provide snapshots of the breadth and depth of renal science, as it exists today. Thus, chapters cover the dual roles of the innate immune system in mediating disease and initiating the immune response (Yahuan Lou), while others focus on both the humoral and cellular arms of the adaptive immune system (Tetsuhiro Tanaka et al., Mihály Józsi) and particularly the recent advances in understanding how auto-antibodies mediate membranous nephropathy (Gian Marco Ghiggeri et al., Chia-Chao Wu et al.). Considerable recent detail is provided on cytokines and signalling mechanisms which translate immune events into cellular pathology including prostaglandins (Andrey Sorokin), endoplasmic reticulum (Reiko Inagi), mTOR receptors (Lena Succar et al. ), STAT3 signalling pathways (Fumio Tsuji et al. ), TGF-ß (Hyun Soon Lee) and extracellular signal-regulated kinases (Maki Urushihara et al.). Animal models (Elena Goiman et al., Chia-Chao Wu et al., María Ángeles Jiménez et al.) and end results such as urinary biomarkers (Sophie Ohlsson) are updated as well. The reader of "An Update on Glomerulopathies - Etiology and Pathogenesis" will find something of interest to all students and research investigators of glomerular disease in the assembled scientific reviews and updates that make up this book. As in all good stories, the best comes last when the material presented here is integrated into the clinical and treatment aspects of glomerular disease that are covered in the book "An Update on Glomerulopathies - Clinical and Treatment Aspects".